A lot of gamers seem to be getting frustrated and even angry at the suggestion that mobile gaming spells the end for dedicated handheld gaming consoles. It’s true that right now there are a few strong reasons that the handheld market won’t be disappearing overnight and reports of its death are premature. On the other hand, smartphones are improving fast and if you think mobile gaming is all about Angry Birds then you need to take another look. As it stands right now I agree with the final point in this article on Game Podunk that the smartphone market and the handheld market are separate. 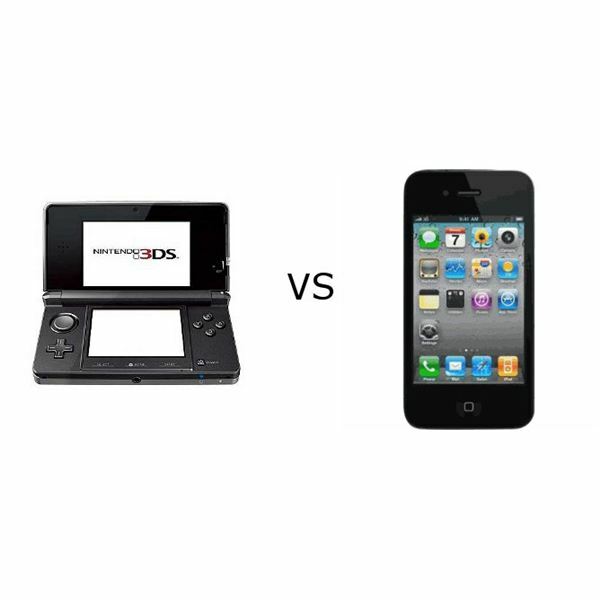 People buy handhelds to play games on them, people buy smartphones to communicate. There isn’t a massive overlap and so far the people buying games on mobile platforms are often not really gamers. Something like iOS as a gaming platform is not stealing people away from other established gaming platforms — it is actually creating a new market for games and drawing in people who never really played them before. That holds true for the PSP, but with the Nintendo DS they definitely attracted more of a mainstream, casual crowd rather than traditional gamers. People who were attracted to the DS for games like Brain Training could well find they are now being catered for on their smartphones. Do people want convergence devices? I think for the most part they do, but real enthusiasts of anything will always see the benefits in having a dedicated device. For me I’d much rather have a single device in my pocket that can handle calls, messaging, web browsing, photos and videos, music, TV and movies and gaming. Most people would. That’s the point. Convergence devices are aimed at the mass market. It is clear that smartphones have not killed off the digital camera market. If you are really into photography then you’ll get a separate camera you won’t rely on your smartphone camera. That’s because you can get better performance and more options from a dedicated camera and smartphone manufacturers won’t put really top end cameras in their phones because it would bump the price up too high. You can apply the same logic to gaming. Smartphone games are mostly free or extremely cheap. The kinds of games that gamers would enjoy playing are priced a bit higher, but they are still cheap compared to their handheld counterparts. 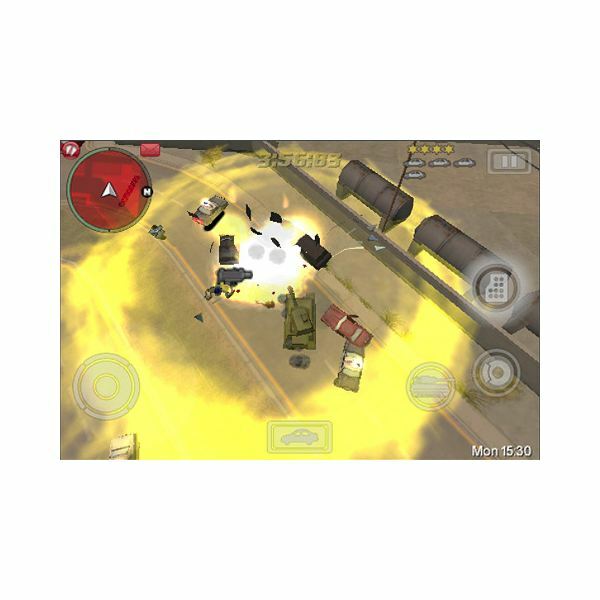 For example Grand Theft Auto: Chinatown Wars is $9.99 on the iPhone and it’s more like $19.99 on the Nintendo DS. Overpriced physical games are a big drawback for me when it comes to handhelds. On the other hand you need plenty of storage and a Wi-Fi connection if you’re going to download all your games. Still, the more you see high-quality games coming out on the iOS platform or Android for cheaper than the handheld version the more apparent it becomes that handheld games are overpriced. Of course exclusivity is a major plus point for Nintendo handhelds specifically. If they continue to refuse to release their games on mobile platforms then fans have no choice but to buy their handheld console. Nintendo has always been good at making money from their hardware and software and they maintain pretty strict control over certain properties. You won’t see that from Sony or Microsoft and third-party developers will be happy to sell games wherever they can. While handheld consoles are quite expensive and the games are overpriced they don’t commit you to a contract. Smartphones often lock you into a two-year contract and while your initial purchase price will be much lower, you’ll pay out quite a lot over the course of the contract. It’s all worth pointing out that there’s nothing really stopping developers from charging the same price on smartphones as they do on handheld consoles. The maximum price they can charge for a game on Android is $200 and on iOS it’s $999.99 so the only barrier is people’s perception that smartphone games should be cheap. That perception could erode as better titles hit the smartphone market. The really big problem for smartphones is their reliance on touch screen technology and their lack of dedicated controls. Obviously there are exceptions like the Sony Ericsson Xperia Play, but it doesn’t seem to be setting the world alight in terms of sales. There are also more and more cases, and even gamepad style accessories for smartphones, but without a standardized control set up that developers cater for they aren’t likely to take off. The other problem is incoming calls. It is jarring, to say the least, when your game suddenly disappears and a caller pops up. That’s not a problem you’re going to encounter with a handheld. It is admittedly pretty tough to compare hardware specs for the latest handhelds and the latest smartphones because the handhelds are dedicated to gaming, smartphones have a lot more to handle. However, you’re looking at a quad-core processor in the PS Vita and Nintendo won’t specify for the 3DS. They’ve both got cameras, Wi-Fi, gyroscopes and accelerometers. The PS Vita has 512 MB of RAM and the 3DS has just 128 MB of RAM. In terms of displays the 3DS has a 3.5 inch top display with a resolution of 800 x 240 pixels (it’s 3D so apparently that’s 400 x 240 pixels per eye). The bottom screen is a resistive touch screen without 3D and it has a resolution of 320 x 240 pixels. The PS Vita has a 5 inch OLED multi-touch capacitive display with a resolution of 960 x 544 pixels. 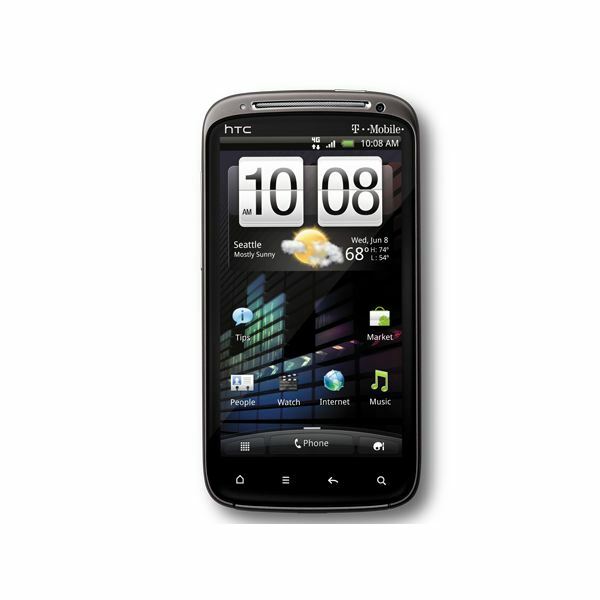 Let’s compare that with the HTC Sensation, one of the latest and most powerful Android smartphones on the market. It has a 1.2 GHz dual-core processor and 768 MB of RAM. It also has Wi-Fi support, gyroscope, accelerometer and a much more powerful camera at 8 MP with the ability to record HD video at 1080p (there’s a front facing camera too). When it comes to the display the Sensation has a 4.3 inch S-LCD capacitive touch screen with a resolution of 960 x 540 pixels. There are already a few smartphones on the market that are more powerful than the Sensation in certain regards, but within a few months we’ll see quad-core smartphones with specs to rival the PS Vita and easily surpass the 3DS. Although you have to remember that smartphones have a lot more to do than handhelds so they’ll need better specs to offer the same kind of gaming experience. The battery life for smartphones and for handheld consoles is shockingly bad. I was surprised to find that the PS Vita and the Nintendo 3DS both only offer 3-5 hours of gameplay before they need to be charged. For dedicated gaming devices that is rubbish. Sadly smartphone batteries are notoriously awful and since your smartphone has more to do it will probably drain even faster. The 3DS has a 1300 mAh battery, the Vita has a 2200 mAh battery and the Sensation has a 1520 mAh battery. This is one area of tech where we really need some innovation and improvement. Smartphones won’t be killing off handhelds any time soon, but they are slowly eroding the handheld market. In particular Nintendo’s move to hit the mainstream and attract an audience outside traditional gamers is definitely impeded by the growth of smartphone games. As smartphones improve, the games get better and manufacturers find new ways of catering for gamers that trend will continue. There will always be gamers who prefer a dedicated device and the real battle right now is for casual gamers, not the core audience for handhelds. What do you think? Post a comment and let us know.